"Took my 2 1/2 year old son in and I couldn't have been happier with the service. A+!" "Dr Amin is wonderful. She...treats you as if you were her own family." "I have found her to be thorough, and conservative but effective in her approach." Dr. Manali Amin is a Pediatric Ear, Nose, and Throat Specialist who diagnoses and treats various childhood health conditions associated with the head and neck. 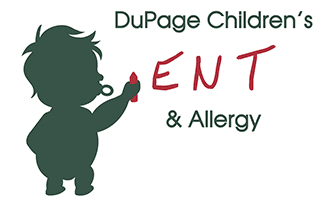 DuPage Children's ENT & Allergy serves the residents of Naperville, Illinois and the surrounding suburbs. Dr. Amin is Board Certified in Otolaryngology- Head and Neck Surgery. She obtained her Bachelor of Arts at Northwestern University and received her medical degree from Southern Illinois University. The doctor performed her internship at Rush­ Presbyterian ­St. Luke's Medical Center in General Surgery. She completed her residency in Otolaryngology- Head and Neck Surgery at the University of Nebraska Medical Center’s College of Medicine. She then went on to do a Pediatric Otolaryngology fellowship at the prestigious Boston Children's Hospital in Boston, Massachusetts, receiving an . appointment as an instructor to Harvard University’s Department of Otology and Laryngology. Following completion of her one year fellowship, she remained on the faculty of Harvard’s Department of Otology and Laryngology, caring for patients at Boston Children’s Hospital, Brigham Women’s Hospita,l and the Beth Israel Deaconess Hospital in Boston from 2004-2011. Dr. Amin belongs to several professional medical organizations including the American College of Surgeons, the American Academy of Otolaryngic Allergy, the American Society of Pediatric Otolaryngology, and the American Academy of Otolaryngology­/Head and Neck Surgery. To make sure that she has the latest tools and technology at her disposal, the doctor is routinely involved in continuing education. She has a strong commitment to education in her field and sits on one of the American Academy of Otolaryngology’s Education committees, creating new educational materials for her peers. She has published several book chapters and research studies. Dr. Amin and the staff of DuPage Children's ENT & Allergy use state of the art diagnostic tools and cutting­ edge technology to make sure their patients receive the best health­care possible. Dr. Amin understands the specific health problems which many children face and has the knowledge and expertise to address each concern and properly diagnose each condition with clarity and accuracy. At her practice, Dr. Amin offers highly detailed treatment plans and follows up with each patient and family to ensure all health concerns have been addressed. Protecting the health of the children of Naperville and the greater Chicago area is her primary concern. At DuPage Children’s ENT & Allergy, our mission is to provide excellent patient-centered, academic-level, subspecialty care in a community-based setting. We believe that care of the patient involves not only treating, but also educating our patients and their families on the prevention and diagnosis of disorders of the head and neck. Central to this mission is the belief that every child is unique and should be treated as the individual that they are. We feel that teamwork and collaboration are vital to patient care, so we believe in working as a team with families and primary care providers in order to provide high-quality care for our patients. We strive to make ourselves accessible to patients and their families, and we are committed to continuously educating ourselves and incorporating the best of technology in order to provide exceptional service. We appreciate the trust that our patients and their families place in us, and feel privileged to take part in their healthcare. Click here to learn how to prepare for your upcoming appointment. Please note that not all plans and policies are covered. Please contact your insurance provider prior to your appointment to make sure your plan provides the necessary coverage. "Excellent bedside manners, very thorough, took her time and there was not an ounce of feeling rushed." "Dr. Amin took time with me and explained everything so that I could understand. She was very thorough and I felt that she genuinely cared about my health."